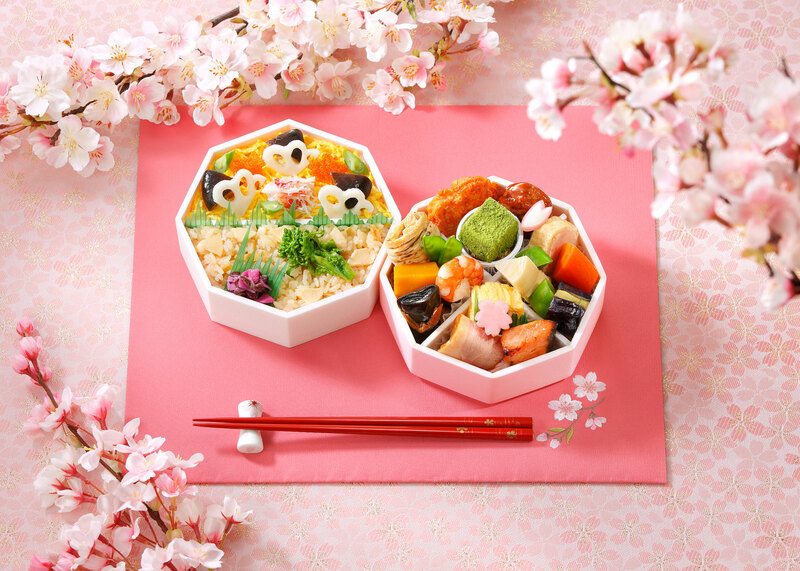 Nihombashi Takashimaya will release exquisite bento boxes for cherry blossom viewing on March 18th! Hanami (cherry blossom viewing) is a spring tradition of Japan. From late March through early April throughout Japan, people get together to eat and drink under the beautiful cherry blossoms. Choosing the best viewing spot and joining special events are important, but since you are in Japan in this special season, it’s cool to enjoy “hanami bento” (take out meal in a box for cherry blossom viewing) while you admire the stunning blossoms. 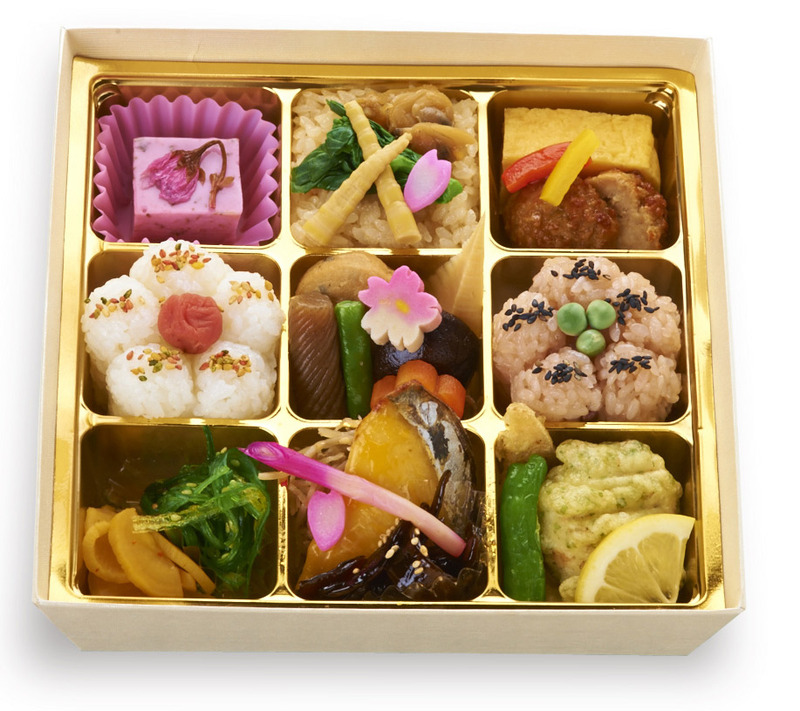 During the hanami season, a wide variety of special bento are sold everywhere. 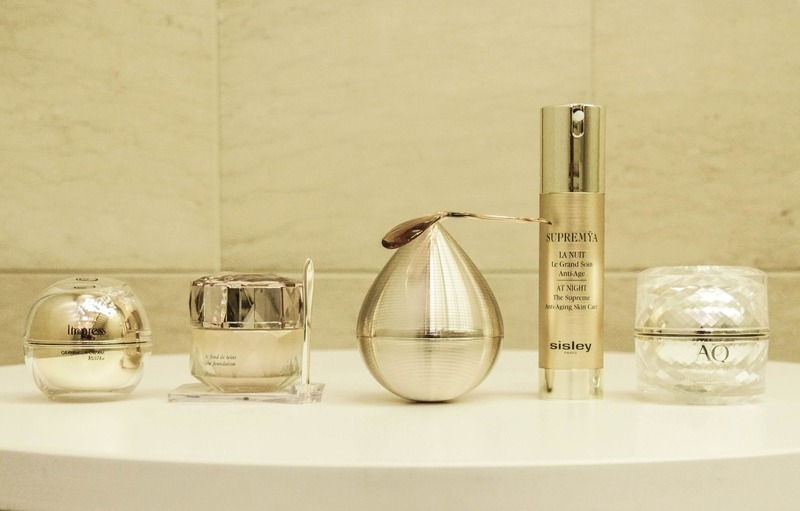 Among all the places, Nihombashi Takashimaya is popular for its variety of luxurious bento. 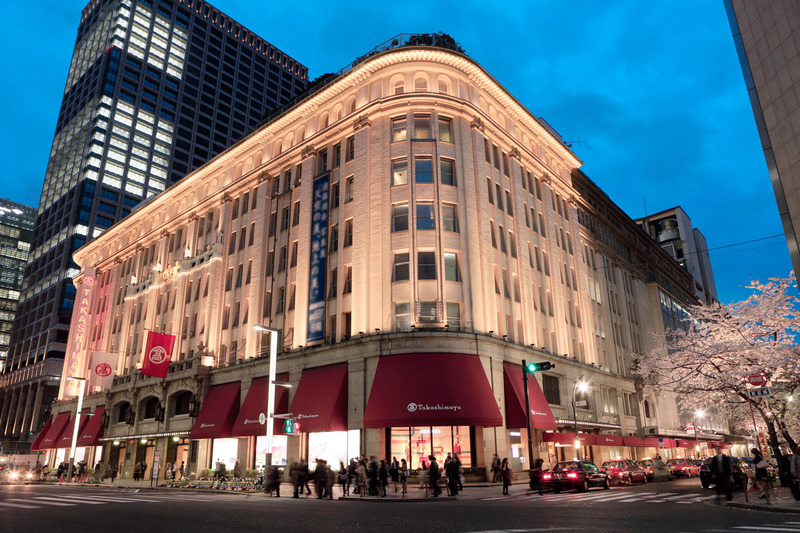 Nihombashi Takashimaya will sell their deluxe hanami bento on the first basement floor from March 18 (Sat) through April 4 (Tue). We carefully chose five beautiful bento for you to make your selection process more fun and easier. This beautiful bento is a creation of an acclaimed restaurant, Nadaman Chubo. It features chirashi-zushi (sushi rice with a variety of toppings), bamboo shoot rice and simmered vegetables in a delicate broth. Meat, fish and vegetables are arranged beautifully, and this colorful bento comes with a dessert. Sale dates: March 18 (Sat), 19 (Sun), 20 (Mon-National holiday), 25 (Sat), April 1 (sat) and 2 (Sun). *Limited to 15 bento each day. 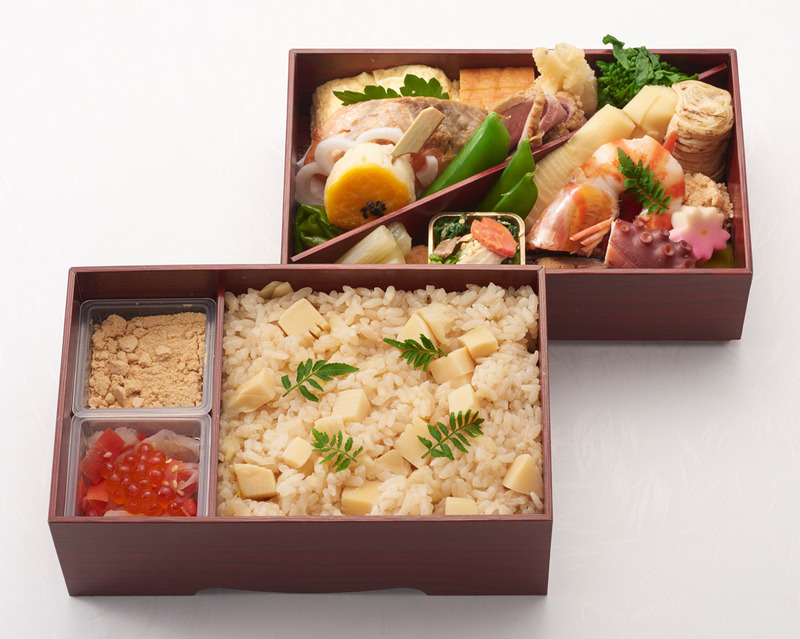 This luxurious double decker bento celebrates spring ingredients such as red snapper roe and simmered bamboo shoots. This dish represents the essence of Kyoto’s renowned restaurant, Kikunoi. 3: Reasonably Priced and Generous Helpings of Nine Dishes! 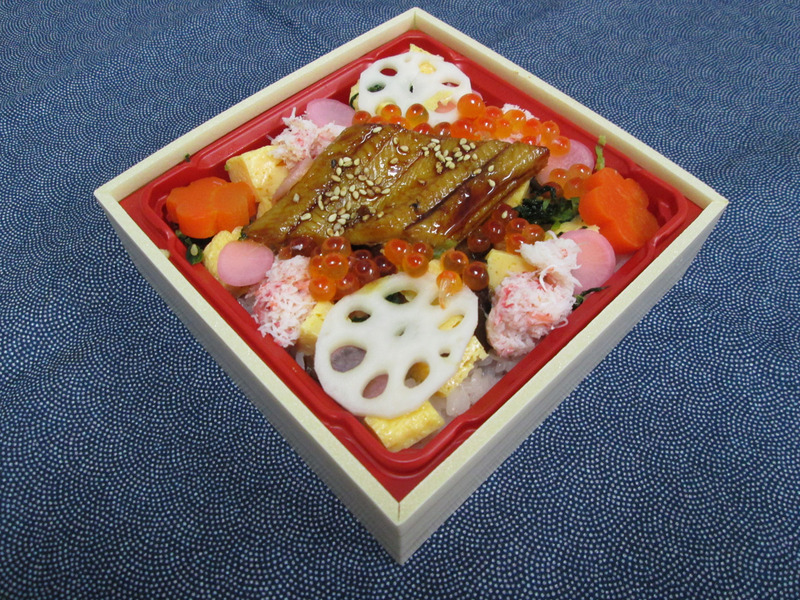 This bento box is prepared by Kanda Myojinshita Miyabi in Suehiro-cho that is known for delicious tempura and sushi. Flavorful grilled Spanish mackerel and cherry blossom-shaped rice bring your spring senses to life. Sakura tofu has a hint of cherry blossom scent to it. This rich flavored bento will satisfy your appetite! Nihonbashi Tamai presents this anago (conger) chirashi sushi. The restaurant specializes in anago dishes, and the anago is simmered in a broth, then char grilled and finished with their secret sauce. It is placed on top of sushi rice with sushi ingredients like crab and salmon roe as well as seasonal vegetables. 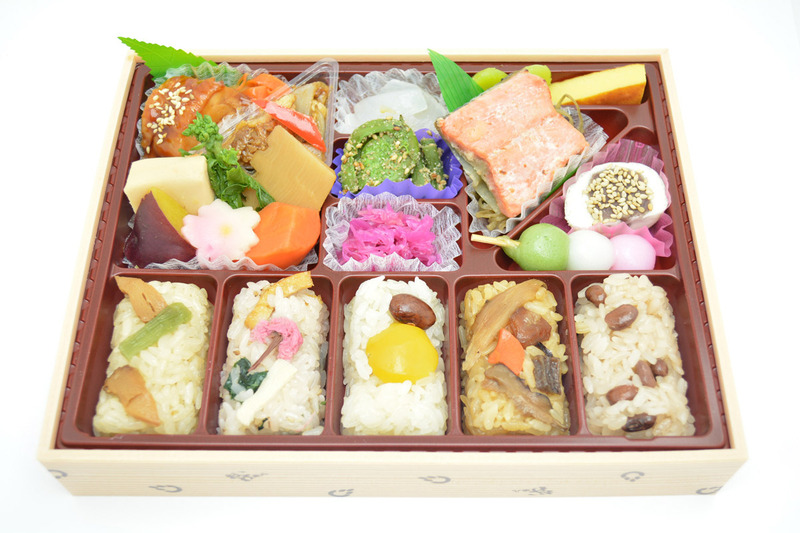 You can enjoy this stunning hanami bento for under 1,000 yen. Okowa is steamed glutinous rice, and this traditional Japanese rice has a chewy texture and a sweet flavor. This bento, Yonehachi Makunouchi Aji-kissho (Spring), features generous amount of okowa rice, grilled sablefish with miso, teriyaki chicken, ginger pork and spring vegetables. This hearty bento will satisfy your heart and stomach. Surprisingly enough, there are many cherry trees in Nihonbashi. 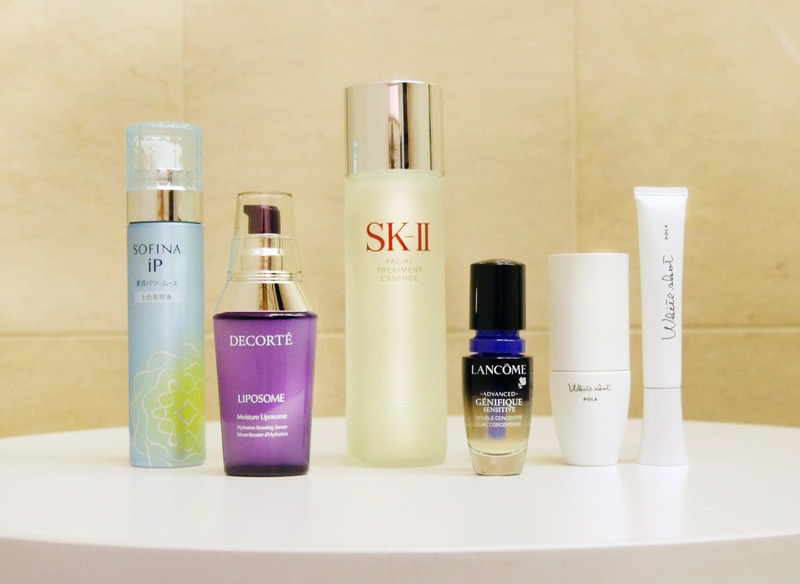 You can enjoy cherry blossom viewing while you are shopping. 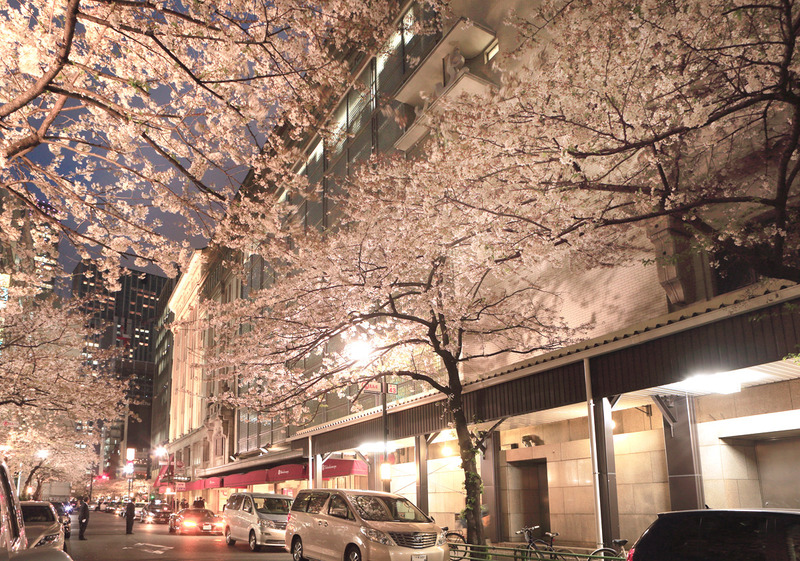 Especially, on Sakura-dori in front of Nihombashi Takashimaya, there are hundreds of cherry trees. They are breathtakingly beautiful in full bloom! Enjoy cherry blossoms and a hanami bento together in Nihonbashi!